Usually, when we hunt for a kind of software, there are various alternatives available. When I went hunting for a portable recycle bin for my USB Flash drive, all I got was the iBin. Perhaps there are more there, but for now it seems that the iBin is one of its kind. Let me come back to why I went searching for a portable recycle bin utility for my USB Flash drive. Nearly every software has a little portable sibling these days. Why not the Recycle Bin? Especially when you consider that the Recycle Bin is an unquestionable safety net. 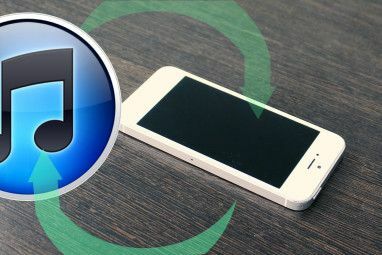 As I had mentioned in my previous post: Don’t Click Delete – 10 Tips for The Recycle Bin Don't Click Delete - 10 Tips For The Recycle Bin (Windows XP) Don't Click Delete - 10 Tips For The Recycle Bin (Windows XP) Read More , we miss the Recycle Bin only when it goes missing. 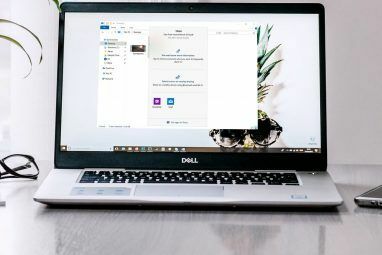 When we click Delete on any file in a memory device like a Memory Card or more commonly a Flash Drive, the file does not go to the Recycle Bin of the connected PC but vanishes forever. Even an Undo or a CTRL-Z cannot stop the final rite of passage. Obviously this is very unlike the behavior of a computer where you have the Recycle Bin as a limbo hold. The only solution to recover lost files in memory devices is to use file recovery tools like Recuva Restore Deleted Files Easily With Recuva Restore Deleted Files Easily With Recuva Read More or Smart Recovery How to Recover Deleted Pictures from a Digicam Memory Card How to Recover Deleted Pictures from a Digicam Memory Card Read More . iBin brings the Recycle Bin back to the USB Flash Drive. The portable recycle bin application works with any removable device in any version of Windows. Like any other portable software, installation is dead simple. Download, unpack and run the iBin.exe file in any removable device. iBin creates the container to hold the deleted files in the device’s root folder. When the memory device is connected, iBin works silently in the background and can be accessed from the System Tray icon with a click. The iBin process is simple as the delete function itself. When a file deletion on, say a USB Flash drive takes place, iBin catches the action and pops up an alert. The user has the option of deleting the file permanently or sending it to the iBin. The iBin works exactly like the Recycle Bin in that it keeps all the files unless deleted permanently. The files can be restored when needed. The Dumping Management window is where the user gets to see all the deleted files in a scrollable view. It’s like the Recycle Bin with the Detail view. 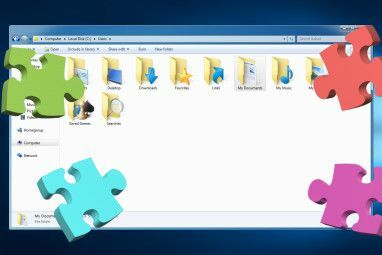 Files and folders have different icons and the file operations can be performed using the three buttons at the bottom. Set your preferences from this window. One thing you might want to tweak is the Space Limit. You can move the slider to set the size limit for the iBin container to anything like 1% to 50% (of the total free size of the memory device). The other important setting to consider is the button which sets up the Autorun.inf file to startup iBin whenever the Flash device is connected to the computer. The Windows OS should of course, allow the autorun.inf to run for iBin to start automatically. iBin is a very compact solution for most of us who are quick draws with the Delete button. In our trigger happiness we often forget that a file deleted from the USB Flash drive disappears forever. Keeping that bad habit in light, iBin is an almost necessary part of any portable software suite. Will this portable recycle bin be a part of your portable software list? How important do you think it is? Let us also know if you are aware of any alternative tool for the dumping and recycling job. iBin ver. 2.7 is compatible with all versions of Windows. Explore more about: Portable App, Restore Data, Windows Explorer. I tried to download iBin, but my antivirus shows that it is infected by virus. It is what is called false positive. Some virus scanners mistakenly flag a file as a virus. All sites which have reviewed it and ours as well, haven't found a problem with its use. Quite honestly, Nakodari...I got the mention of the app from DownloadSquad. Your post is also listed in Google of course. I hope it's not a race to review an app and write about it, and we can do so independently of each other.I think it's true for most of your posts too. Your site is also very nice and I will never have a problem citing it as a source if the reason arises.